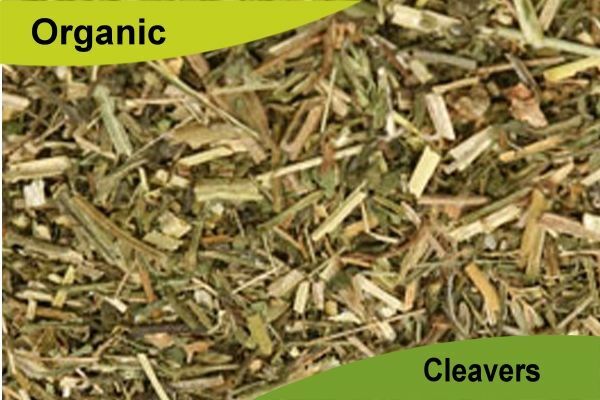 Cleavers has traditionally been used for cleansing the lymphatic system and for helping with urinary infections, cystitis, tonsilitis and skin disorders such as eczema and psoriasis. 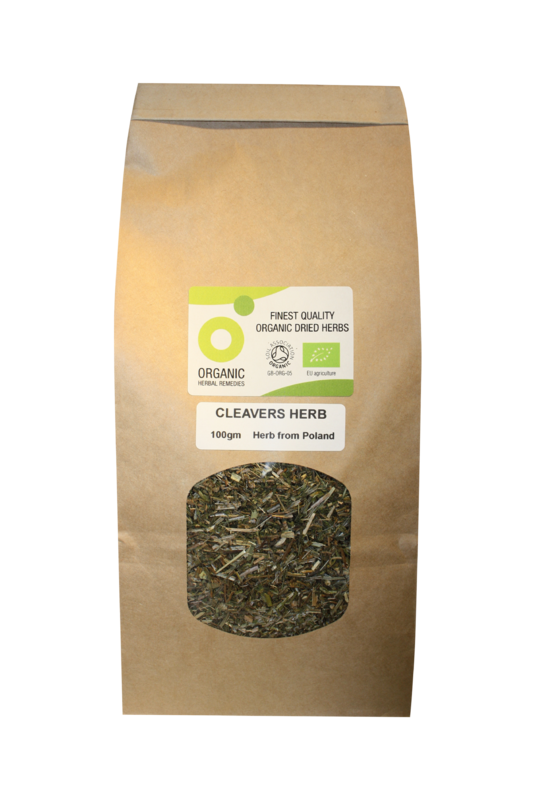 To make a cleavers herbal infusion or tea use one to two teaspoonfuls of dried herb to a cupful of water. Use to make a tea in a an infuser teapot or for a stronger infusion place the herb in a saucepan, pour on the water, cover with a lid and simmer gently for approximately ten minutes before straining. 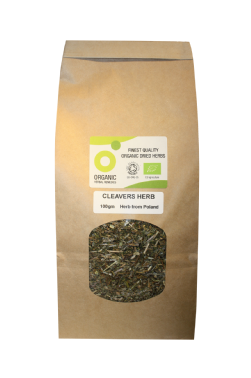 High quality 100% organic tincture of Cleavers botanical food supplement.